Autism Research and Resources of Oregon is a 501(c)(3) not-for-profit organization. 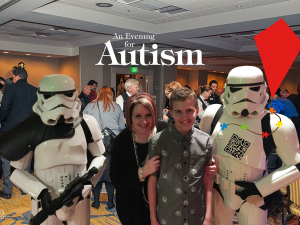 Your tax deductible donation helps to ensure that ARROAutism can continue to provide programs and resources, including the ARROAutism Family Holiday Assistance Project. We also accept snail mail donations! Autism Research and Resources of Oregon received the GuideStar Exchange Gold level logo, a leading symbol of transparency and accountability provided by GuideStar USA, Inc., the premier source of nonprofit information. The logo demonstrates ARROAutism’s deep commitment to nonprofit transparency and accountability. In order to be awarded the GuideStar Exchange logo, ARROAutism had to fill out every required field of our nonprofit report on www.guidestar.org for the Gold level of participation. Amazon donates 0.5% of the price of your eligible AmazonSmile purchases to ARROAutism. When we last checked on June 27, 2016, AmazonSmiles purchases had generated $314.09 in donations for ARROAutism. 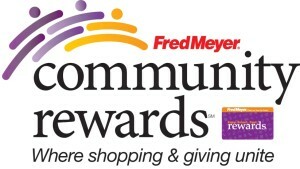 YOU CAN HELP ARROAutism EARN DONATIONS JUST BY SHOPPING WITH YOUR FRED MEYER REWARDS CARD! Then, every time you shop and use your Rewards Card, you are helping ARROAutism earn a donation! As of June 27, 2016, Fred Meyer Rewards generated $778.47 in donations to ARROAutism. Thank you Fred Meyer Rewards Shoppers!